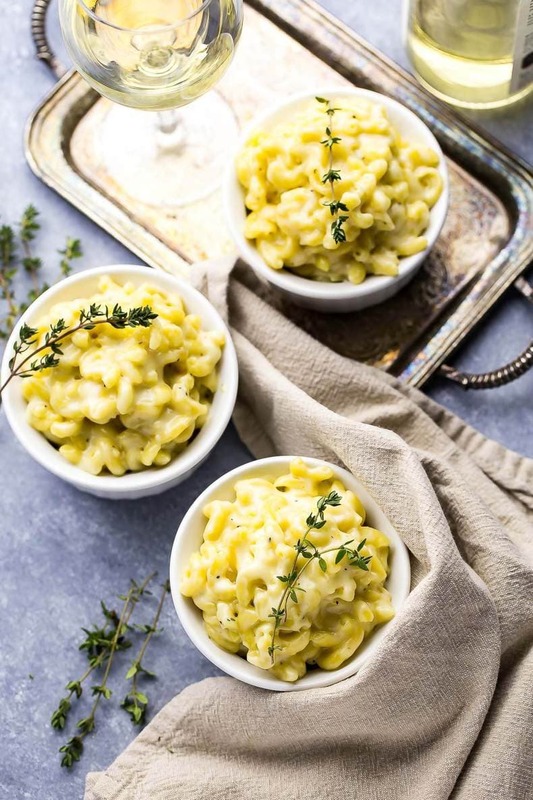 This White Cheddar Truffle Mac and Cheese is a delicious and luxurious side dish that is the perfect way to jazz up a plain old chicken dinner! Carb lovers rejoice! 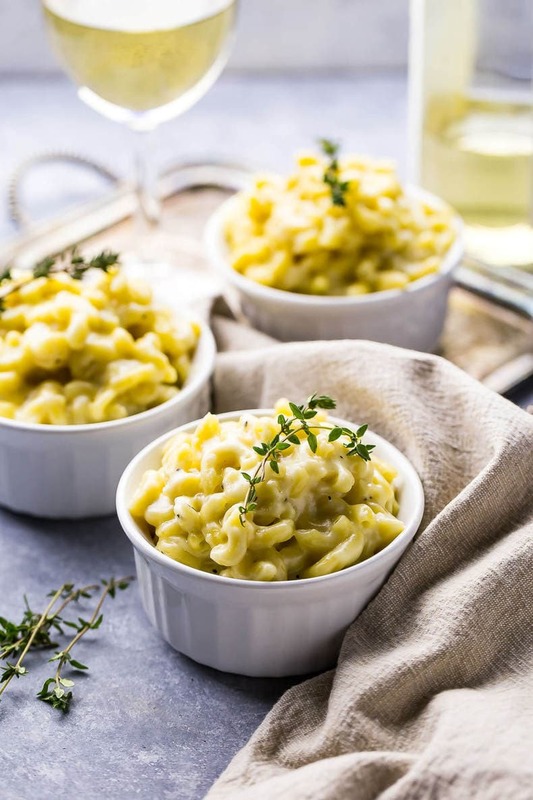 Warning: this White Cheddar Truffle Mac and Cheese is dangerous. 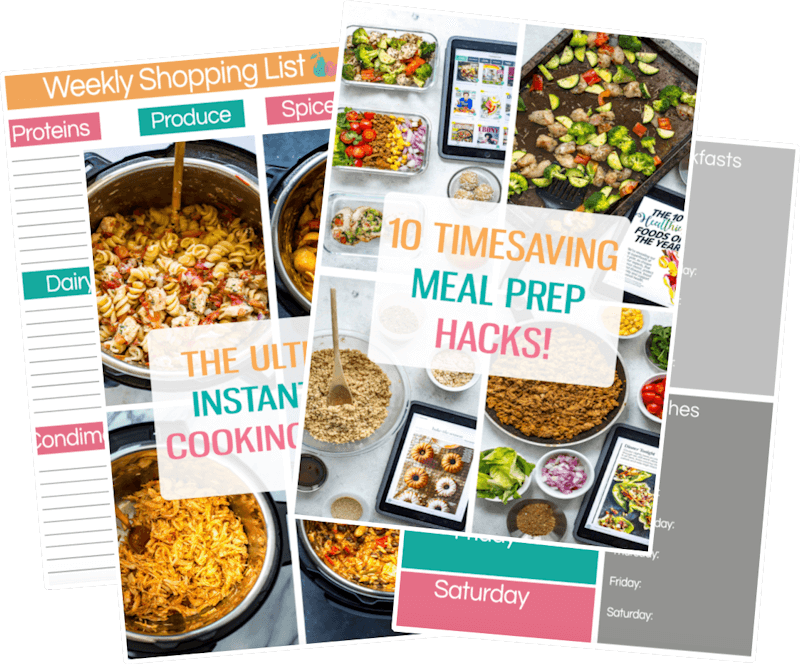 It definitely strays from my usual healthy food theme for my blog, and for that I'm sorry. Especially after all that popcorn and wine you probably consumed last night during the Oscars. Ironically enough I gorged myself on popcorn on Saturday night watching Manchester by the Sea with a friend – I had a cold all week and the last thing I felt like doing was going out. Movies to the rescue, right? Btw, I can see how this movie was up for all sorts of awards. You really should go see it. But seriously, we are here for this White Cheddar Truffle Mac and Cheese though. This is the true star of the show. 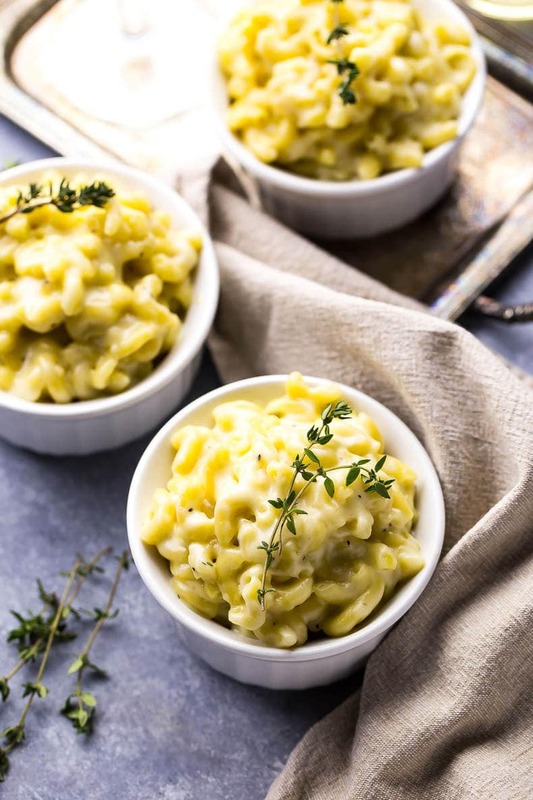 You really need some of this amazing mac and cheese in the form of a side dish for your next plain Jane dinner. It's really going to take your day from mehhhhhh to awesome in just about 20 minutes. Promise.?? So about two months ago, I went to this amazing restaurant in Toronto called Flock that basically serves rotisserie chicken alongside your choice of several different sides. I really am a person who values variety in life. Like, gimme as many different side dish options as possible, okay? So when this restaurant offered up roasted sweet potatoes, kimchi green beans, Yukon gold frites, chili oil broccoli & rapini AND mac and cheese all as sides, I kind of went to town and ordered pretty much everything.? I promise, this is not a sponsored post for Flock LOL. It just really got me re-thinking the power and importance of delicious side dishes in life. Take last night for example. We're having roast chicken for dinner with all the usual sides like roasted carrots and parsnips, mashed potatoes and peas. I'm not trying to hate on my parents' cooking game, but I just can't with these plain side dishes. Sides are life. They're worth thinking deeply about. So here is how crazy difficult and diva-like I really am. I initially go to the grocery store last minute at 8pm in an attempt to pick up the heavenly, forgotten and much-needed Swiss Chalet dipping sauce for the chicken (if you don't know what Swiss Chalet dipping sauce is by the way, you are seriously missing out on Canada's fave rotisserie chicken chain restaurant). While I'm at the store (my second visit that day shall I mention…), I see some pre-cut butternut squash and immediately think of the sage in the vegetable crisper that I've been meaning to use up. Yes, I am planning on roasting squash at 8:30 after the dinner is ready. That's the type of person I am. Thank god everyone in my family really accepts my eccentric foodie ways instead of insisting we sit down as a family to the dinner table at a certain time. Sunday nights are so chill at my house.? After I pick up the squash, I immediately start drooling thinking about Flock and all the sides. And I JUST bought kimchi earlier in the day thanks to the kimchi fries I plan on making a video for this week. So naturally I pick up some green beans as well. Thirty minutes and a glass of wine and a burnt thumb later (don't ask? ), I've just added two more sides to the already crazy big family dinner and we all sit down to watch the Oscars. It was a seriously solid (and funnily enough, ordinary) family dinner with way too much food. 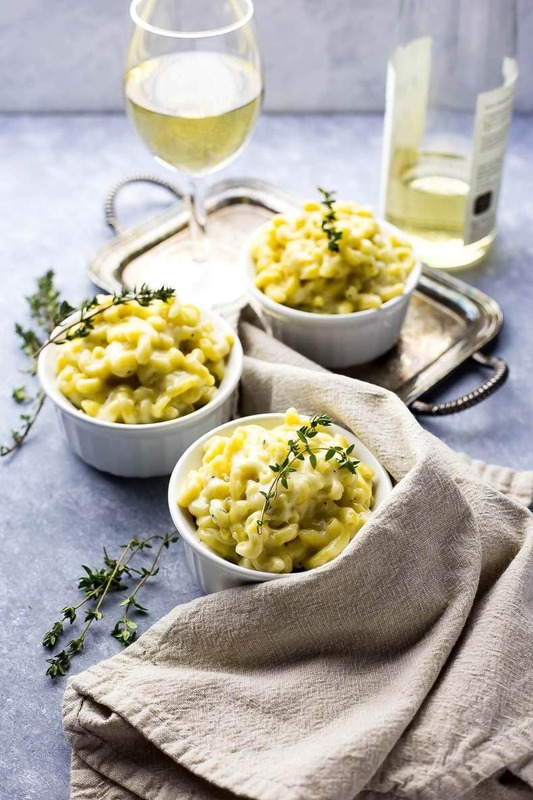 But the point I'm getting to here is that, really, if I had been smart, I would have whipped up some more of this White Cheddar Truffle Mac and Cheese. I even made it for my Galentine's dinner a couple weeks ago, serving this alongside a steak, kale caesar salad and garlic roasted mushrooms for my girlfriends. Who needs men really when you have food right? Specifically mac and cheese? This stuff is so easy to whip up as long as you have a ton of cheese on hand. I am in love with aged white cheddar so naturally it's the main cheese I use in this recipe, and then you can either use Swiss or pizza mozzarella to create that ooey gooey-melty-cheesy texture. Skip the breadcrumbs and add in a tiny bit of truffle oil with this side dish. I found mine in the cooking section of a Winners store – a tiny little bottle that was selling for $4. So don't think you need to splurge on the good stuff here to get a really tasty truffle mac. And remember, this recipe creates SIDE DISH portions. It really ain't for the faint of heart. 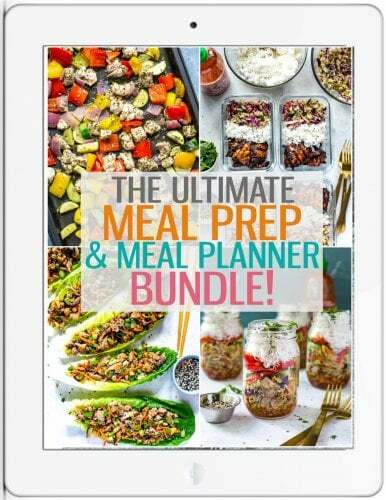 But you could just cut the portions in half and it easily serves dinner for two (or one…I'm just sayin'?). 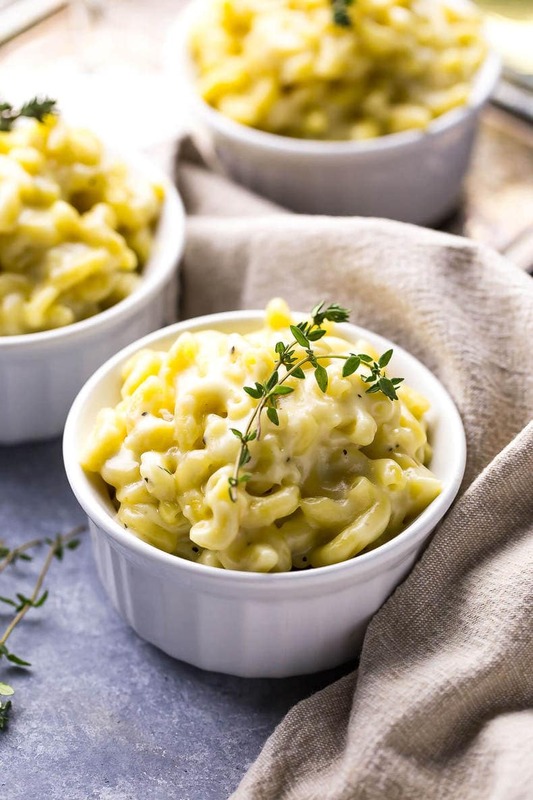 Will you be making this White Cheddar Truffle Mac and Cheese? What are some of your favourite variations on everybody's fave comfort food? 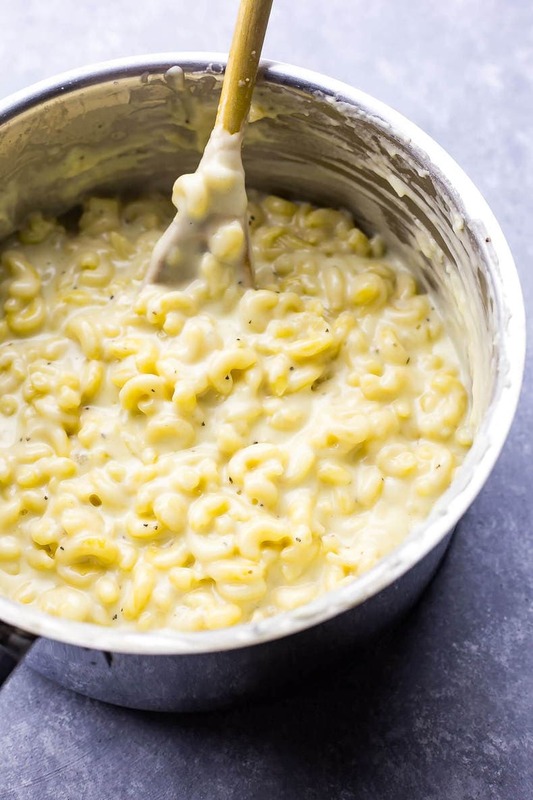 I'm also a huuuuuuge fan of this one pot mac and cheese if you're looking to make this more of a dinner as opposed to a hearty side dish. 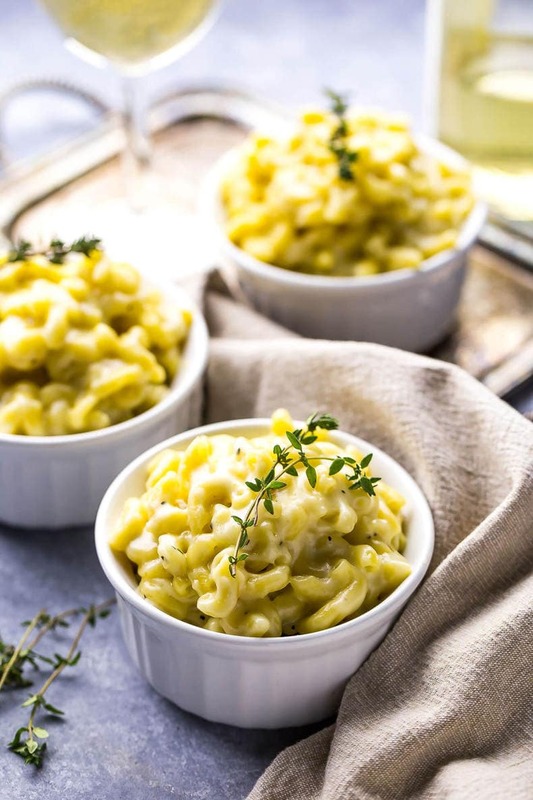 That is another mac and cheese recipe you truly need in your life. Anywhoooo, you know the drill. If you try any of my recipes be sure to let me know on Instagram, Twitter, Facebook or in the comments – I’d love to see what you cook up ? Heat water over high heat, then cook macaroni according to package directions. In a large, deep pot, melt butter over medium-high heat. Add flour, whisking frequently. Add milk 1 cup at a time, whisking to remove lumps and stirring until thickened. Add cream, bringing the mixture to an almost boil. Add salt and pepper, cooked pasta then stir in cheese and truffle oil. Remove from heat and serve immediately in small serving dishes. The instructions say add cream and water, however there is no water listed in the ingredients list? Hi Tami! So sorry about this – there is no water used in this recipe. I have removed it from the instructions! Thanks for catching that.